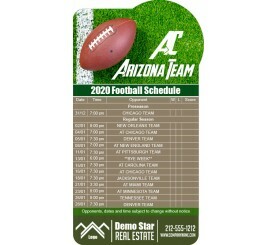 Custom 3.875 x 7.25 inch one team Arizona Team bump shape football schedule magnet is definitely an attraction seeker and it offers high benefits too. This magnet is easily visible due to its bump shape, which will show up against any surface with ease. It offers plenty of capitalization space for advertisers to include their brand credentials and match information. 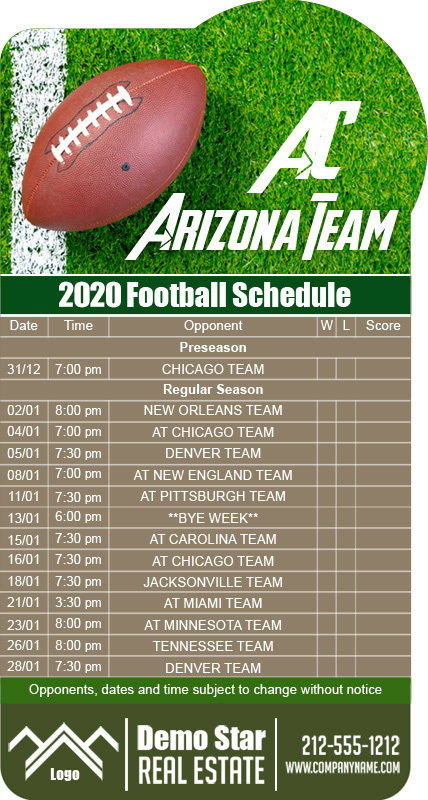 Who knows Arizona Cardinals may end their dry spell of drought with heightened spirits imparted through their fans who are keeping these magnets! Product Size : 3.875 in. X 7.25 in.